The extra cash conundrum: pay down your mortgage or pay into your pension? Whether you receive a lump sum or you find yourself with money to spare each month, having extra cash can leave you in a conundrum. Although it’s a great situation to be in, it can be difficult to know how to make best use of your money, so that it lasts for the long-term and stands you in good stead in later life. Putting the money towards your home and saving for your retirement are both sensible options, but which is best? If you don’t own your home, then getting on the property ladder is likely to be your number one financial objective. Swapping monthly rent payments for mortgage repayments is a goal for most people, as the money is going towards your own home rather than into the pocket of your landlord. Now may feel like a particularly good time to take the property-buying plunge, as low interest rates are making mortgages more affordable. So if you have cash to spare, putting it towards a deposit could be a good decision. After all, a larger deposit not only means a smaller mortgage, but can also give you access to the best mortgage deals. Meanwhile, if you already own your home, you may be tempted to put any extra money towards paying off all or part of your mortgage. Paying off debt tends to be a positive financial step, and if you manage to rid yourself of your mortgage before you retire, you’ll be freed of a hefty monthly expense at a time when money may be tight. However, before you put all your extra cash towards your house, it’s worth pausing to consider the unique benefits of pension saving. When you pay money into a pension, you’ll usually receive a tax top up from HMRC. This effectively means that the government gives you an additional £25 for every £100 you pay into a pension if you’re a basic rate taxpayer, up to £50 for top rate taxpayers. The maximum amount you can save into a pension annually and receive this tax relief on is currently 100% of your salary, up to a maximum of £40,000. Plus, pension funds are invested in the hope that the money will grow. Good pension funds are diversified and invested in a range of assets to manage risk, and — although funds will fluctuate and there’s no guarantee of a good return — your pension fund may achieve annual growth of around 4-6%. The earlier you start saving into a pension and the more you manage to save, the healthier your pension pot should be when you retire. Our handy pension calculator will help you figure out how much you may need to save, based on factors like your age and your desired retirement income. Clearly there are lots of benefits to both options, but does one leave you financially better off than the other? These calculations certainly provide some food for thought, but you’ll need to make a decision based on your own individual circumstances. In terms of pension saving, take into account the current size of your pension pot and how many years you have left until retirement. If you’re thinking of paying a large amount into your pension all at once, be aware of the tax relief threshold for pension contributions. When you’re weighing up mortgage repayment, factor in your mortgage rate and how many years you have left on your mortgage term. Also investigate whether there are any penalties for overpaying: many lenders now let you overpay by up to 10% annually without penalty, but check your mortgage contract to be sure. 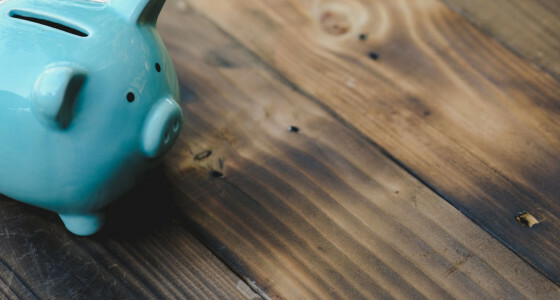 If you haven’t started pension saving at all yet, or you’re nearing retirement and facing a serious shortfall, putting extra cash towards your pension is probably prudent. For most people, however, a balanced approach may work well: if you have a large lump sum, perhaps you could use some of it to pay down your mortgage debt and put some of it towards your pension? Or, if you have money left over each month, consider increasing both your regular pension contributions and your monthly mortgage repayments.